Although an Alabama Baptist church is still suffering the effect of a tornado that damaged the church building in January, it has returned a $25,000 donation to a casino, citing a conflict of interest. 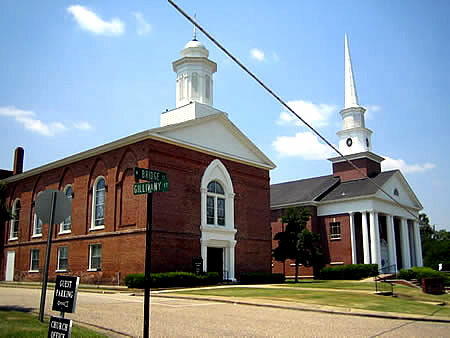 Members of First Baptist Church in Wetumpka, Alabama voted Feb. 10 to return the money which was supposed to go into the repair of their church’s chapel and also its two-story multipurpose building, following the January 19th tornado. Wind Creek Casinos donated a total of $100,000 following the tornado – $50,000 to First Presbyterian Church, $25,000 to First Baptist Church and $25,000 to the police department. All three suffered major damage. The Presbyterian Church’s building was completely destroyed. First Presbyterian Church Pastor Jonathan Yarboro said the congregation accepted its cheque but will use it to rebuild the community. Troglen discussed the issue during a Feb. 3 sermon taken from Matthew 17. The church has a history of opposing gambling, according to The Alabama Baptist. When the church voted the night of Feb. 10, about 300 were in attendance, he said. Troglen said he hopes the money can be used to help others in the community.